Among others who made their way to the wilds of New Jersey in the wake of Dianetics were several troubled psychotherapists in search of a means to effectively treat neurosis. 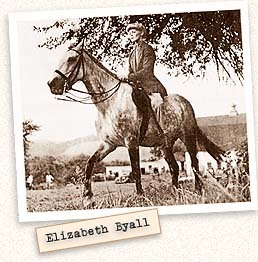 Most notable among them was Mrs. Elizabeth Byall. To what is recounted through the pages of her heartfelt letter from the summer of 1950, we might mention Mrs. Byall soon adopted Dianetics entirely, and soon regained the use of her legs, numbed since a childhood bout with polio.